We are members of AEA and Justinian Lawyers. AEA International Lawyers Network is the largest network of law offices in the world in what relates to countries covered with lawyers in the majority of the countries. No other network or association covers as many countries as AEA. It began in Europe as Association of European attorneys and has expanded all over the world. Justinian Lawyers is a multinational Law Group that consists of international law firms of different countries. It is an exclusive net of Lawyers with only one office per country. 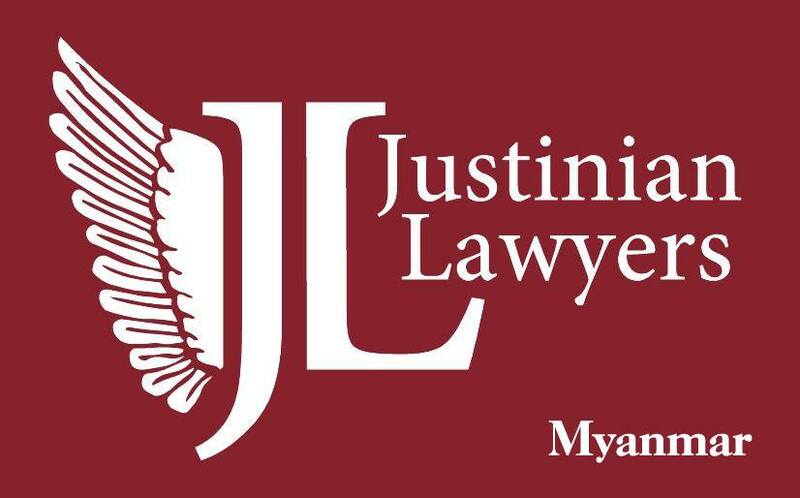 After a selection process we have been chosen as the delegation in Myanmar of Justinian Lawyers.The trademark Justinian Lawyers is registered in the EUIPO, Intellectual Property Office of the European Union. Justinian was a famous Roman emperor who ruled the Eastern Roman, or Byzantine, Empire from 527 until 565.He was married to the Empress Theodora. Justinian,in what relates to Law, was the most important Emperor in the 2100 years of history of the Roman Empire. He made a complete revision of Roman Law. The total of Justinian´s legislature is known today as the Corpus Juris Civilis and it is the basis from where all the laws of the different countries of the world come. For more information, please kindly click on the logos. We are KHIN MAUNG CHO & ASSOCIATES INTELLECTUAL PROPERTY LAW FIRM in Myanmar. We can assist you with trademark, design, patent filings, litigations and other intellectual property matters in Myanmar. If you require our services, or need any intellectual property assistance in the region, please do not hesitate to contact us for information. We provide with information and services as to the Rights of Intellectual Property in Myanmar. We are at your service. Welcome! We are pleased to inform you that the new Myanmar Trademark Law was passed by the Union Parliament of Myanmar and all the registered trademarks require re-applying for the validities of the trademarks according to the new Law. The Law will come into force following the directive of the President, expecting to come into effect shortly. So we wish to remind you that to re-apply for your registered trademarks in Myanmar if you want to continue the validity of the marks. And the well-known marks will also need to apply, claiming the priority within the period. Your clients can also register new trademarks currently, claiming the priority when re-applying in conformity with the new Law. Since the Law is a strict first-to-file system and so the brand owners should be prepared to file all their important trade marks on the first day the Law which comes into effect. There is no automatic transposition of current trade mark registrations. It is safe to file the TM applications to be in time. Thus we would like to remind the colleagues and the brand owners to prepare on the very first DAY of the commencement of the new Law , being the lack of the process from the current existing Laws to the new Law since therefore Trademark owners must file new applications to obtain protection for their registered marks, having the priorities if they re-apply their marks according to the new Law. there is no automatic conversion of the past registrations of the marks under the new Trademark Law. ♦ Do you want to read Frequently Ask Questions for Trademark Registration in Myanmar? Click FAQ. ♦ Do you want to know more about Filing procedure for Trademark Registration in Myanmar? Click Filing Procedure.